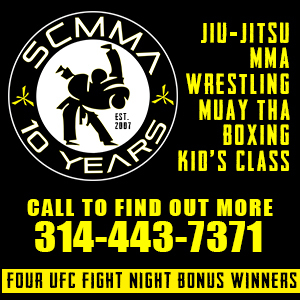 Southeast Missouri has always had a loyal MMA fan base. The area has hosted strong amateur shows for years. Now for the first time since 2010, Cape Girardeau will host a professional fight card. Brad Wick with B & L Promotions is bringing a Pro/Am card to the Isle Casino on April 11th. 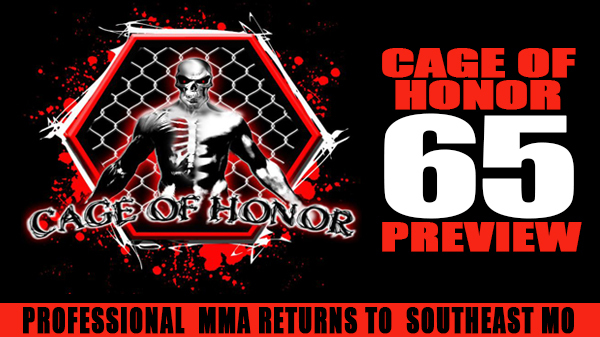 Cage of Honor 65 will feature nine amateur and three professional bouts. This is B&L Promotions 10th event in southeast Missouri, and Brad felt it was time to take the step up with a professional fight. Knuckle Junkies: Why now for a professional show? Brad Wick: I want to take the next step as a promoter. But I also felt it was important to give the local professional fighters an opportunity to fight in front of their hometown fans. KJ: Putting on a Pro/Am card is a big step up for a promoter. BW: It is a huge leap doing professional fights. We hope to take this experience and make each successive show better. KJ:It's been four years since Cape Girardeau has hosted a pro fight. That's a long time. BW:We have a huge support base in SE Missouri. The loyal fanbase and fighters we have had on our shows has gotten us to where we are today. The Isle Casino has been great partner for us. We want to thank Lyle Randolph and Bridgett Miller for the support and awesome opportunity given to us. KJ:Is this the first of many professional shows? BW:We have great sponsors who we consider friends and family. We have a great staff working behind the scenes. Future plans for B&L Promotions definitely include more professional fights along with showcasing some of the topnotch amateur fighters in the bootheel. KJ:How can fans get more information about the card and tickets to the show? KJ: What can we look forward to? BW:There will be two amateur title fights on the card along with three professional bouts. Headlining the card is Kyle Kurtz vs Danny Andrews. Kurtz is 2-0 as a professional and is coming off an impressive KO at Rumble Times last card. Andrews is tough fighter who is 3-3 as a pro, but hasn't fought since January 2013. Andrew Terhune vs Michael Bucholtz.